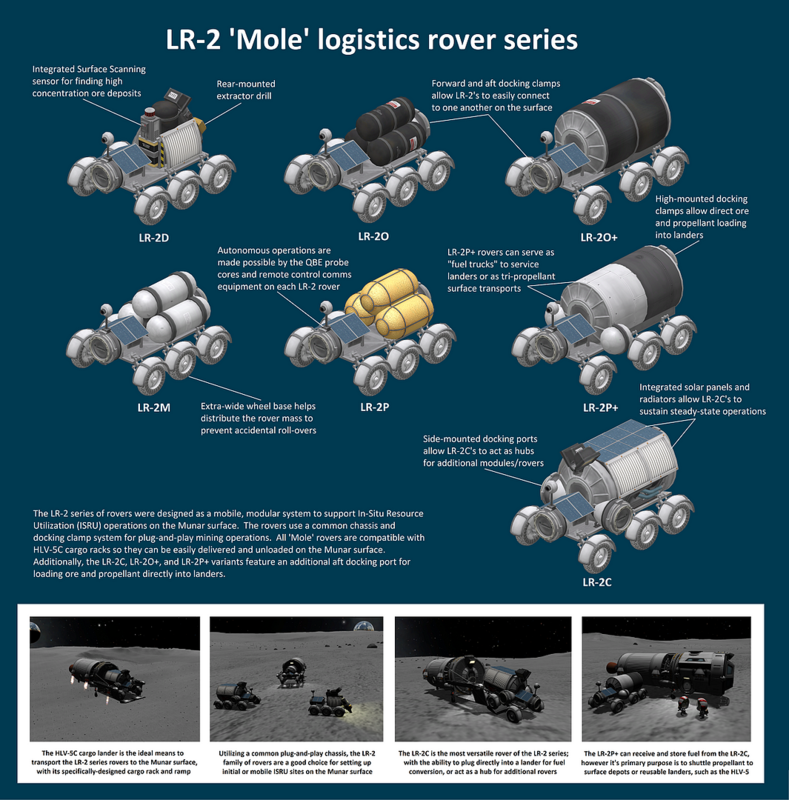 The LR-2 series of rovers were designed as a mobile, modular system to support In-Situ Resource Utilization (ISRU) operations on the Munar surface. The rovers use a common chassis and docking clamp system for plug-and-play mining operations. All ‘Mole’ rovers are compatible with HLV-5C cargo racks so they can be easily delivered and unloaded on the Munar surface. Additionally, the LR-2C, LR-2O+, and LR-2P+ variants feature an additional aft docking port for loading ore and propellant directly into landers. Built in KSP version 1.6.0.